Tax Tips after New Year - Thompson Law, P.C. The ball has dropped in Times Square and we’ve bid farewell to 2018. But there are still a few things we can do to adjust our tax liability for 2018 before filing tax returns on April 15. First, you’ll need to organize all your tax records. That way, you’ll have some idea of what your tax liability might be. After you’ve organized your tax records, if you find you will owe money, there are a couple things you can do. You can contribute to your IRA for 2018. That’s right, even though it’s now 2019, you can still contribute to your IRA for 2018. That’s the magic of IRAs. You can contribute for the prior year up until April 15. When you make the contribution, be sure you designate for which year you intend the contribution. This holds true for traditional (deductible and nondeductible) IRAs and also Roth IRAs. If you contribute to a deductible traditional IRA, that will reduce your taxable income for the year. The maximum IRA contribution for 2018 is $5,500 ($6,500 for those age 50 and over). A contribution to a nondeductible traditional IRA or to a Roth IRA will not produce a tax deduction and won’t alter your taxable income for the year. After you’ve organized your records and made your IRA contribution, you may still find you will owe money. If so, be sure to file an estimated tax withholding payment by January 15. If you make the full estimated tax payment by January 15, you won’t owe interest and penalties for income received in the fourth quarter. Depending upon when you received your income during the year, you might still owe interest and penalties. But, making the estimated payment by January 15 will reduce the problem. Finally, it’s a new year and it’s a great time to start planning to minimize your tax liability for 2019. If you planned well in 2018, that’s great, congratulations! If you could have planned better in 2018, let’s put those lessons learned to good use in 2019! 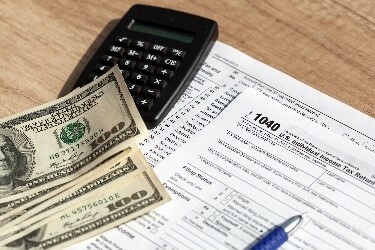 As you prepare your taxes, you can find more tax tips here.